Nutrition Therapy for Heartburn, Acid Reflux, and GERD | Elite Sports Clubs: Where You Belong. What is the biggest-selling prescription medication in the United States? Many would be surprised to find out that it is a treatment for acid reflux. Gastroesophageal reflux disease (GERD), the technical term for reflux, is the number one disease of the digestive tract. Almost everyone will experience heartburn and/or reflux at some point in their lives. To the few that are plagued by these conditions, stay tuned to learn more about which foods to add and avoid to improve your symptoms. To begin, reflux occurs when the stomach acid leaks up into the esophagus, where it does not belong. Symptoms can include heartburn, nausea, and difficulty swallowing. 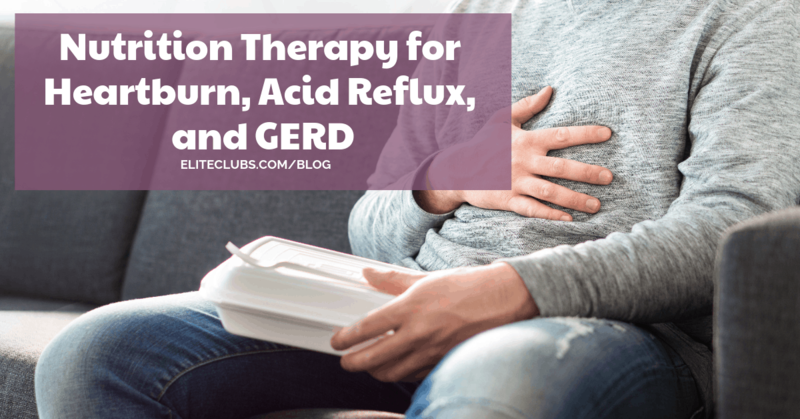 Reflux is commonly diagnosed as GERD when symptoms occur on a weekly basis. Many factors contribute to increased risk of reflux including physical activity, meals, sleep, and the position of your body after meals. Reflux is very common in infants, with as many as 85% of infants experiencing symptoms. As their bodies mature, most babies will outgrow reflux by one year of age. Pregnant women also experience reflux due to the increased abdominal pressure. For this reason, reflux and GERD are closely associated with obesity. The extra abdominal fat puts added pressure on the abdominal cavity and esophagus, causing an increased risk of reflux. Elderly people may also experience more reflux symptoms as the muscles that keep the valve between our esophagus and stomach lose strength. Some medications for high blood pressure, anxiety, depression, and Parkinson’s disease can exacerbate GERD as well. There are certain foods that worsen reflux symptoms and should therefore be avoided. To begin, diets high in fat, which can delay stomach emptying and increase stomach pressure, can promote reflux. Other foods that worsen GERD include: caffeine, mint, chocolate, alcohol, and processed foods. Both spicy and acidic foods may also aggravate symptoms. Reduce your intake of carbonated beverages to avoid further risk of symptoms. Choose lean meats, poultry, fish, tofu, and beans as protein sources. Limit the amount of added fat and oil in your meals and opt for baked dishes instead of fried foods. The timing and amount of food can also make a difference in the way you feel. Smaller, more frequent meals are recommended. Also remember to eat slowly, remove stress and distractions from meal time, and stop eating when you feel satisfied instead of stuffed. You should not lie for for at least 30 minutes after eating. If you experience symptoms of GERD at night while lying down, elevate the head of your bed a few inches. Avoid wearing clothing that is tight in the abdominal area. Most importantly, achieve and maintain a healthy weight to relieve added pressure on the stomach region. If you suffer from GERD or frequent heartburn, you should talk to your doctor first. If you’re looking to eat better, see me for a nutrition consultation and I can make suggestions on how you can eat better to possibly improve your symptoms! 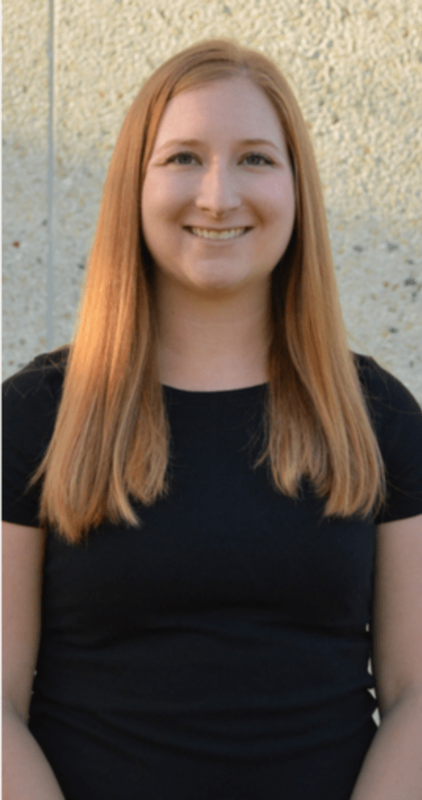 Sarah is certified in food allergies/intolerances and nutritional counseling, Academy of Nutrition and Dietetics; has a certificate in Dietetics from Mount Mary University; and a BA in Education and Mathematics from the University of Wisconsin – La Crosse.